American Marcus Denmon (191-G-90, agency: BeoBasket) put on an amazing game in the last round for Zhejiang Ch. 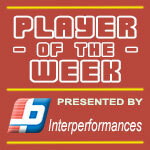 and that's him to receive a Interperformances Player of the Week award for round 12. The 28-year old guard had the game-high 59 points adding six rebounds and six assists for Zhejiang Ch. in his team's victory, helping them to edge out Shanxi Z. (#14, 4-8) 123-120. Zhejiang Ch. is placed at 3rd position in Chinese CBA. They would have been even better if they hadn't lost a few games earlier this season. Zhejiang Ch. will need more victories to improve their 9-6 record. In the team's last game Denmon had a remarkable 62.5% from 2-point range and got six three-pointers out of 12 attempts. He turned to be Zhejiang Ch. 's top player in his first season with the team. University of Missouri graduate has very impressive stats this year. Denmon is in league's top in points (2nd best: 39.4ppg) and averages solid 50.9% FGP and 43.2% from behind 3-point line. The second most remarkable performance in last round's games was 26-year old American guard Joseph Young (188-G-92) of Nanjing TX MK. 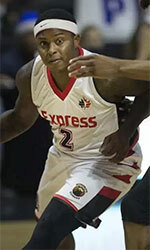 Young impressed basketball fans with 51 points, 9 rebounds and 2 assists. Bad luck as Nanjing TX MK lost that game 110-124 to the higher-ranked Jilin NE T. (#12, 5-6). The game was between two teams which are definitely not main contenders for the title. Nanjing TX MK is still at the dead bottom 20th position. 10 lost games are too many comparing to just two victories Nanjing TX MK managed to get this year. Young is a newcomer at Nanjing TX MK and it seems he did not have too much trouble to become one of team's leaders. He belongs to the best scorers in the league with 31.8ppg (#7). His other stats are also decent: 5.3rpg and 4.1apg. The third best performed player last round was former international forward Jianlian Yi (212-PF-87) of top-ranked Guangdong ST. Yi got into 30-points club by scoring 42 points in the last round. He went also for eleven rebounds . 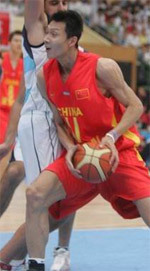 He was a key player of Guangdong ST, leading his team to a 118-103 easy win against the lower-ranked Tianjin GL (#19, 2-10). Guangdong ST have amazing season winning all 12 games without a single defeat. Yi turns to be one of the very best players in the league while he is also a leader of the top team having his eyes on the championship title. Yi has a very solid season. In 7 games in China he scored 22.4ppg. He also has 11.1rpg, 1.7bpg, FGP: 55.6% and 3PT: 43.5%.